Catalan leaders who have threatened to declare independence in a move ruled illegal by the EU have run out of time Madrid says. As violence in region of North East Spain claims thousands of victims, Madrid jails leaders with the threat of removing autonomy entirly. A Spanish court has ordered the leaders of two powerful separatist organisations in Catalonia (Cataluña) to be jailed in a move that could cause the tensions to worsen. Jordi Cuixart and Jordi Sanchez, presidents of the separatist groups Omnium Cultural and the Catalan National Assembly have been jailed on sedition charges. More violent riots broke out in Barcelona on Monday as news of their imprisonment spread. They are accused of stirring up major violent demonstrations in the run-up to the controversial independence claim on 1 October 2017. Less than 40% of 7.5 million Catalans voted in the illegal and non binding referendum, with 90% of those voting backing independence from Spain. However hundreds of thousands of Catalan inhabitants took to the streets to protest against independence in support of Spanish and EU union. The pro independence riots which have been linked to far right nationalists have seen thousands of Spanish citizens injured. Secretary general of right wing Omnium Cultural, Jordi Bosch, said: “I’m calling for Catalan society to peacefully protest.” A call missed as the ‘protests’ rapidly turned into violent and destructive riots. The Catalan National Assembly has called for protests across the region, with a strike planned for Tuesday. Again the right wing nationalist protests have resulted in violent riots. Calls for demonstrations also spread on social media, with some planned in Catalonia and beyond, including London. London has urged people not to protest for Catalan independence as the UK faces Scottish separatist and Northern Ireland Sepratist movements the UK has threatened to clamp down with “full force” on any pro Catalan disturbances in the capital. Use of armoured special forces units used to respond to terror attacks are to be deployed should Catalan riots break out in London as planned. Hundreds of independence supporters gathered outside Catalan government offices, singing the unofficial regional ‘anthem’ and holding signs that read “freedom for political prisoners”. The crimes the two are charged with are illegal in international laws and the law of all recognised states and countries. The EU has historically interviened to enforce pro separatism with failed EU military coups in Iraq, Syria, Turkey, Kosovo, Iran, Libya, Egypt, Afghanistan, Russia and China. However after Crimea voted to leave Ukrain and join Russia, the EU has reversed it’s policy on separatists clamping down hard on the strong separatist movements in UK, France, Italy, Spain, Germany and Ukraine. The sepratist added that his organisation would work “underground” to further their cause. The latest detentions came as the Spanish High Court ruled that Catalan police chief Josep Lluis Trapero would not be held in custody but was arrested and released pending continuing investigations, Lluis is still likely to be charged and inprisoned. Lluis had also been arrested on charges of sedition. Prosecutors allege he failed to rescue officers from the Civil Guard, the national police force, who were trapped by rioters inside a Catalan government building in September. It may be that Lluis could be charged with wilfully leaving police officers in physical danger, sedition and gross misconduct in a public office. On Monday, Catalan regional President Carles Puigdemont who also faces jail, failed to provide a yes or no answer on whether he is formally declaring independence. Puigdemont has tried to avoid giving a direct answer ever since backing down on 2 October 2017 when threatened with arrest and the total revoke of all Catalan autonomy. Madrid wanted an answer by 10:00 local time on Monday, but instead Puigdemont wrote a letter to Spanish Prime Minister Mariano Rajoy calling for a meeting “as soon as possible”. Rajoy had warned that Madrid will totally revoke Catalonia’s autonomy if independence was declared. “You still have time to answer clearly and simply,” Rajoy told Puigdemont, warning that weeks of instability were damaging the Spanish economy. Spain has now given him until 10:00 local time on Thursday to clarify his position. Failure to clarify is likely to lead to his arrest and the revoke of Catalan autonomy. Spain also faces independence movements from the northern Basque region which transcends the border into France. 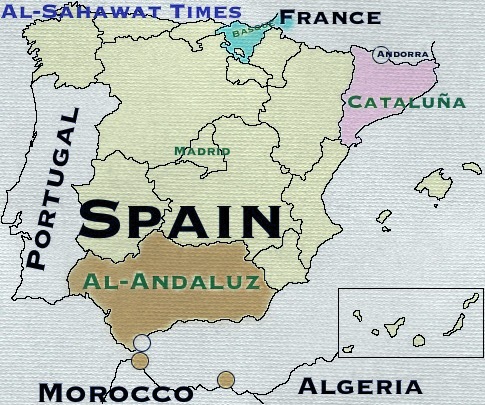 Spain’s largest region, Al-Andaluz, the Muslim southern region has also renewed it’s independence movement. 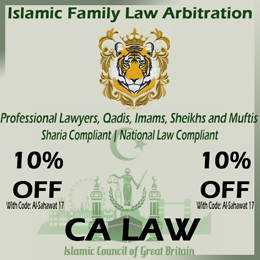 This comes as territorial battles in Gibraltar (Al-Jibultareq) between the occupying UK, Spain and Al-Andaluz intensify as EU courts side with Spainish sovereignty claims after UK Prime Minister failed to list the territory in UK sovereign claims in the Atricle 50 Brexit Trigger. Large corporations which make Barcelona and the wider Catalan region the wealthiest in Spain have started to relocate to Madrid in droves preempting any independence claims and clearly showing loyalty to Madrid and global union. Al-Sahawat Times which has its’s second largest office in Europe in Barcelona is in talks to relocate to Seville should independence be achieved. Similar mass corporate evacuations struck London after Brexit wasn’t announced with many large companies moving to Barcelona, Paris and Berlin. Those which moved to Barcelona are likely now to leave Spain entirly skipping France over Basque sepratist fears optimgninstead for Berlin. The Catalan crisis has the potential to ripple through Europe with a high risk of triggering yet another European financial crisis. Something the international community and citizens alike are keen to avoid. Travel advice for Barcelona remains at “Risk Category 5” (All non essential travel is to be avoided).